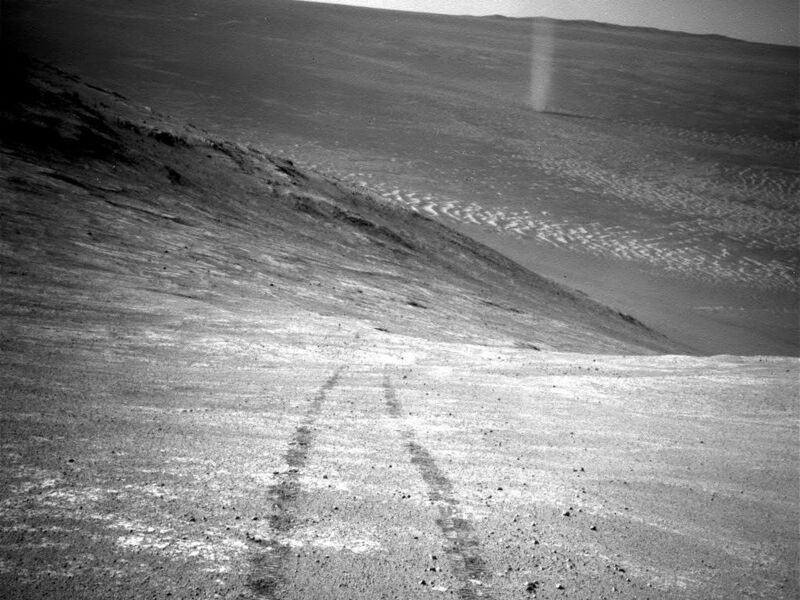 From its perch high on a ridge, NASA's Mars Exploration Rover Opportunity recorded this image of a Martian dust devil twisting through the valley below. The view looks back at the rover's tracks leading up the north-facing slope of "Knudsen Ridge," which forms part of the southern edge of "Marathon Valley." 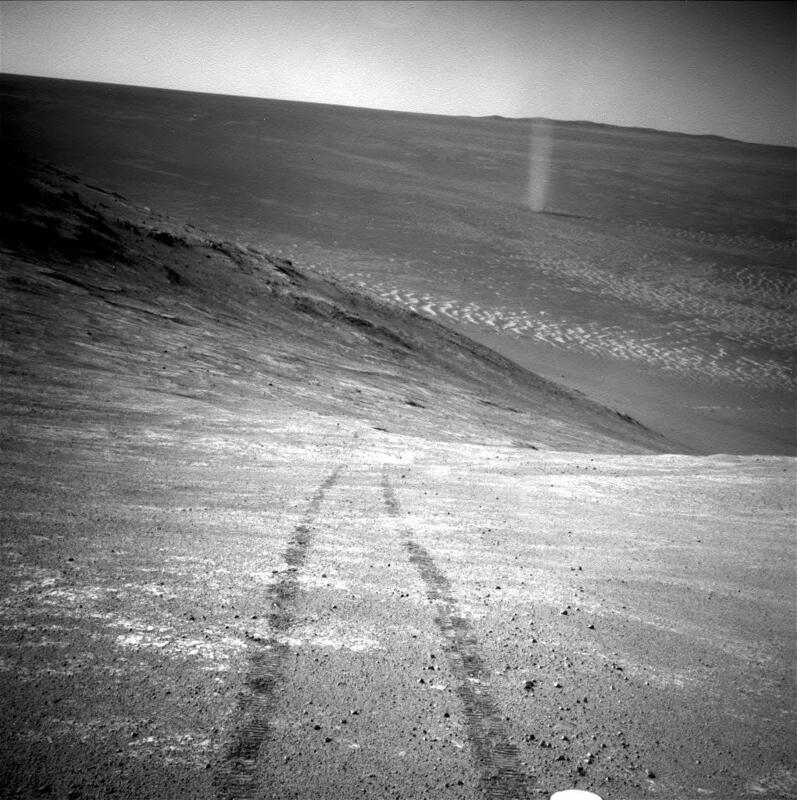 Opportunity took the image using its navigation camera (Navcam) on March 31, 2016, during the 4,332nd Martian day, or sol, of the rover's work on Mars. 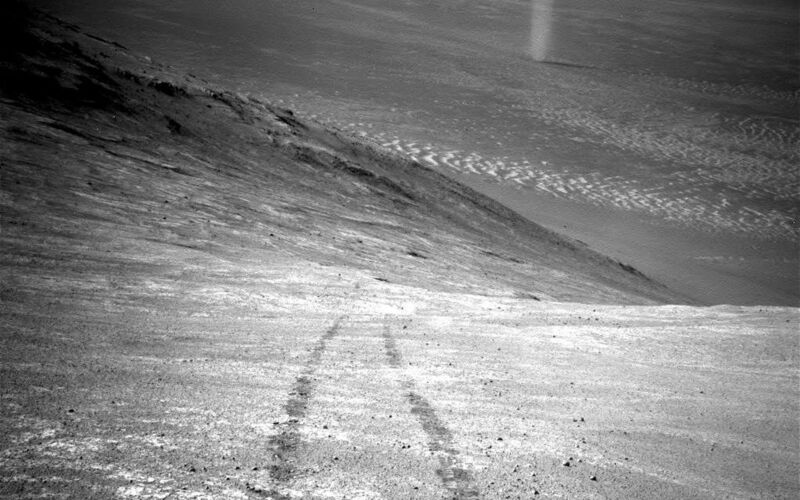 Dust devils were a common sight for Opportunity's twin rover, Spirit, in its outpost at Gusev Crater. 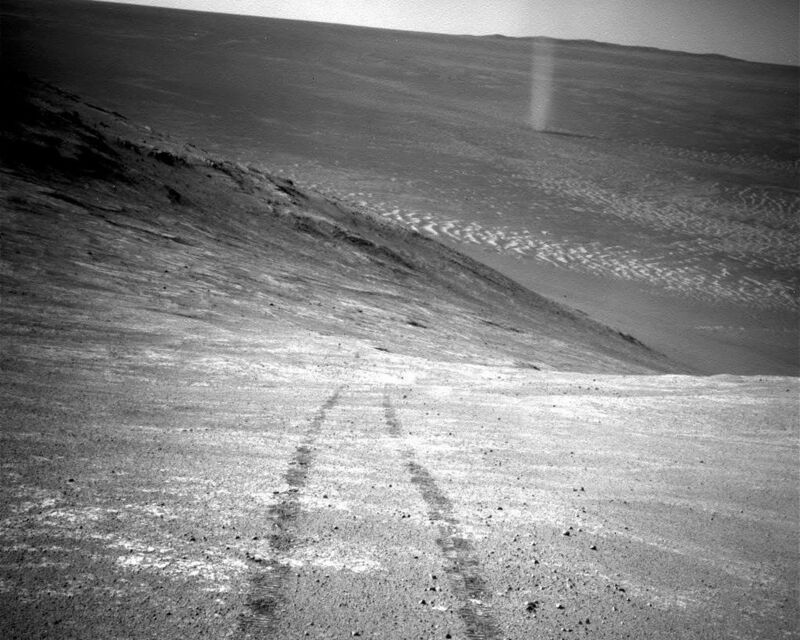 Dust devils have been an uncommon sight for Opportunity though. During the uphill drive to reach the top of Knudsen Ridge, Opportunity's tilt reached 32 degrees, the steepest ever for any rover on Mars.